Filmmaker J.C. Reifenberg’s short film, Summer ’78, is a fun ode to the Star Wars phenomenon with a few twists along the way. 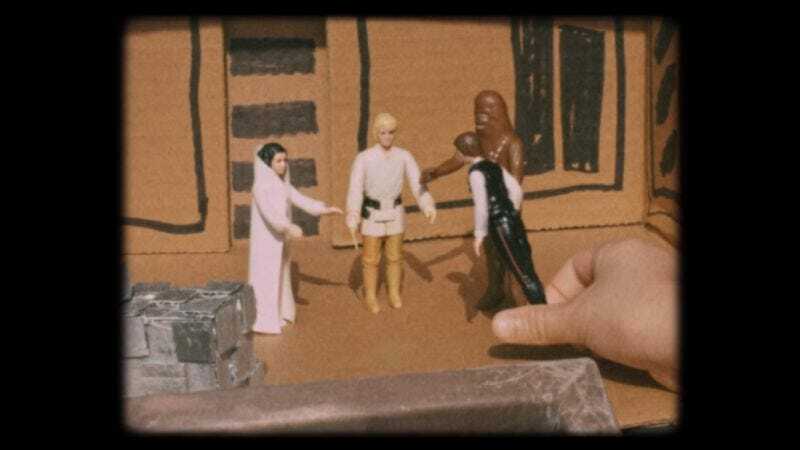 Summer ’78, which premiered at Star Wars Celebration in April and made its online debut on Friday, features an 11-year-old boy making a Star Wars fan film in his backyard circa 1978. (You know it’s 1978 since the stars of the film are the original 12 Star Wars action figures released by Kenner.) Kenner was late to the game and sold kids an empty box on Christmas of 1977 with the promise of toys the following year. Apparently this dumb kid opened up his Han, Luke, Leia and the rest of the gang to shoot a new adventure, completely destroying the box value.